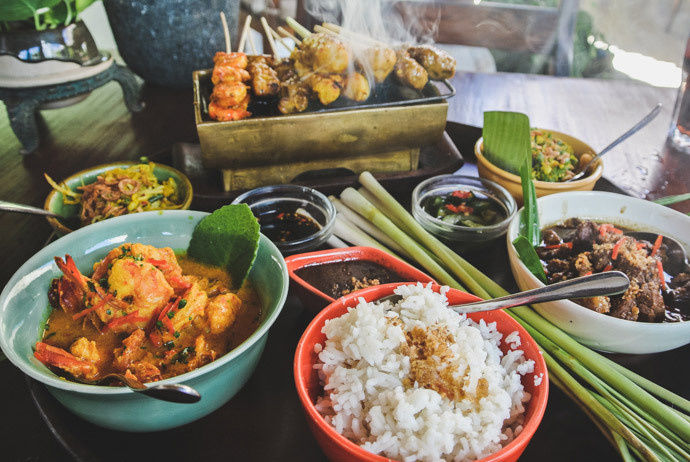 If you are staying in Nusa Dua on your Bali trip, you’re probably asking, where to eat in Nusa Dua. 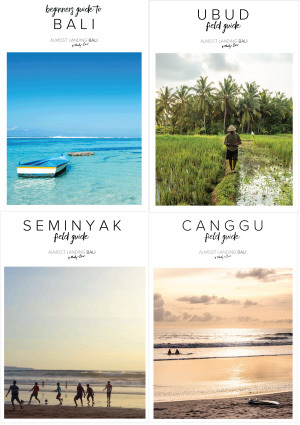 When compared to some other places in Bali, there are fewer choices outside of your hotel. So It could be said that Nusa Dua is known for resorts, not restaurants. 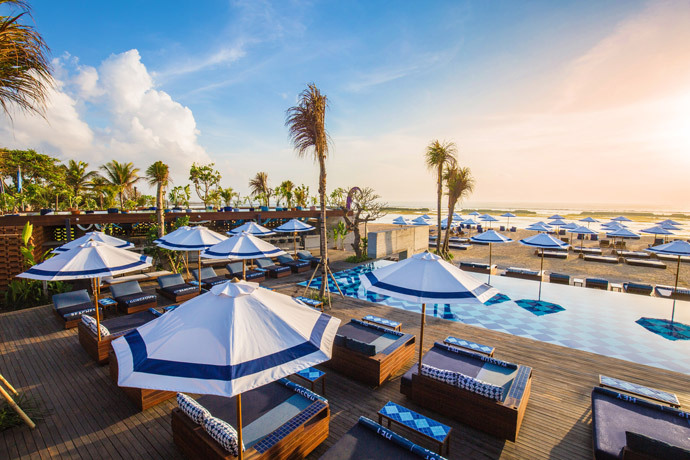 At the end of the day, Nusa Dua is a great place to come to relax, spend some time at the beach and unwind, so less choice of where to eat may be a good thing, and many of the hotel restaurants in Nusa Dua are pretty good. 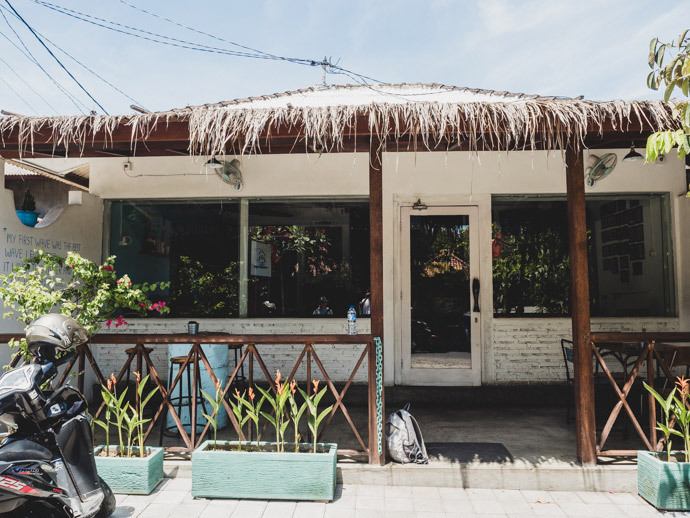 We have a few go to places that we love to eat whenever we are in Nusa Dua. 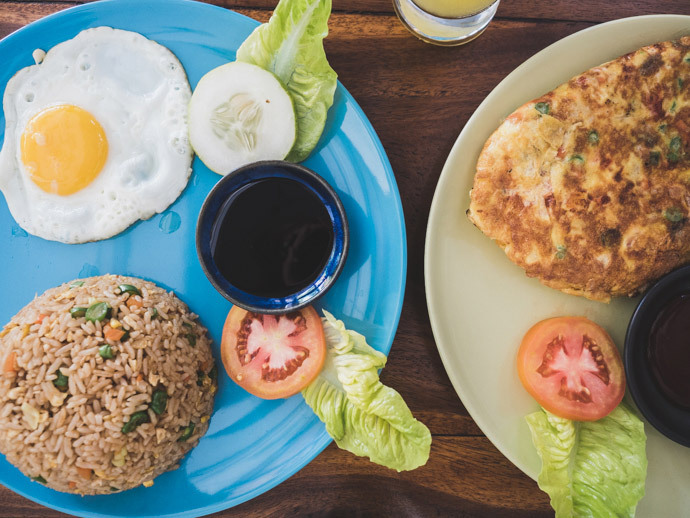 These are our 5 go-to favourite places for where to eat in Nusa Dua. 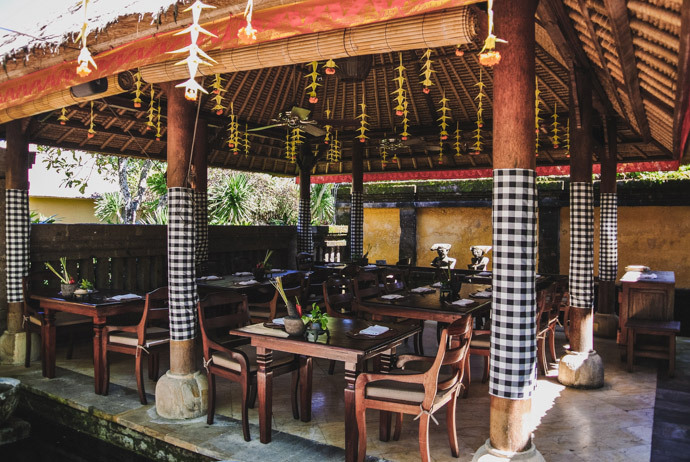 Only a walk or a short drive from Nusa Dua you will find Bumbu Bali Restaurant. This place is an amazing way to taste some authentic Indonesian and Balinese cuisine, done really well. The Garden setting is a great place to embrace the flavours. 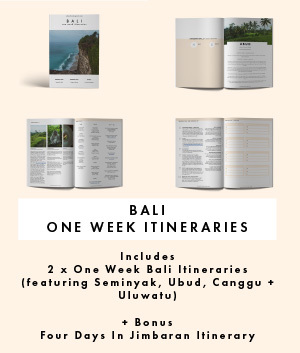 They also run one of our favourite Balinese cooking classes, so you can cook these dishes too. Cut Catch Cucina is an incredible restaurant anyway, but we love the Magnifique Brunch that takes place in this space on a Sunday. This is almost a must do if you are in Nusa Dua on a Sunday. Such an incredible array of food. Both buffet style and some menu items that will certainly satisfy. The Sofitel is our favourite Nusa Dua hotel we have stayed at too so consider staying here. 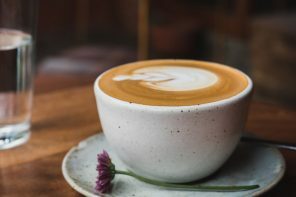 If you are after a non-hotel start to the day then Secret Cafe is a great choice for a coffee and breakfast in Nusa Dua. It has a really cosy, welcoming feel to the place. It is a good lunch option too. 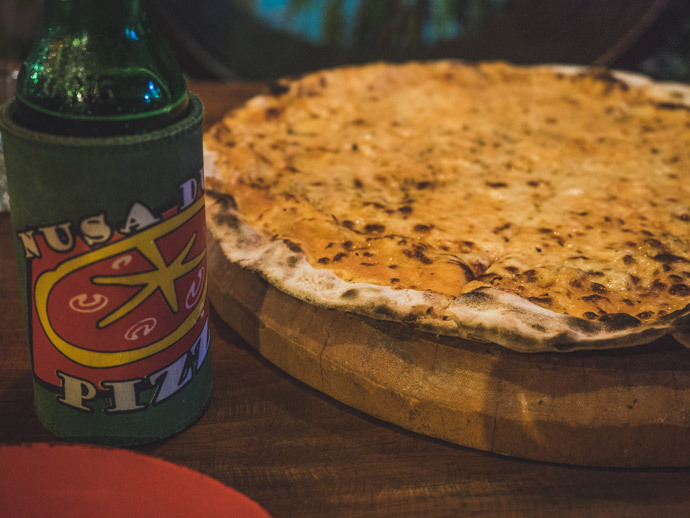 Ok, well pizza is certainly not local food, but after a day of water sports or lounging poolside, a pizza may be exactly what you feel like. 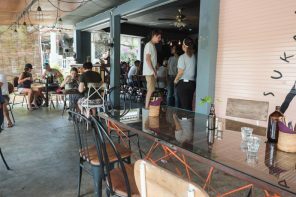 You can eat in and it is a nice vibe but we more often than not have got Nusa Dua Pizza takeaway or delivery, either by calling direct from your hotel or using Go-Jek’s Go Food App. Perfect for the lazy night in or if its pouring rain. I would suggest if you do get delivery, ordering direct and getting the shop to deliver may be better as they have hot boxes to keep your pizza hotter ;). Another hotel restaurant that is worth mentioning is Bejana. 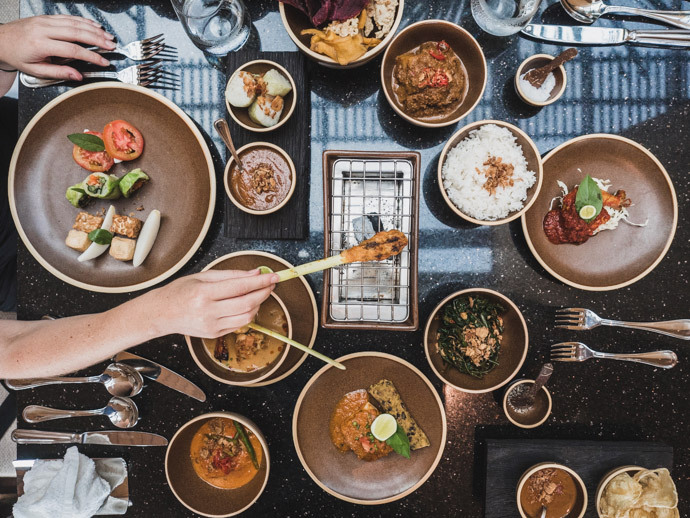 We loved our rijsttafel and it is a great opportunity to taste a range of Indonesian flavours and dishes from across many Indonesian islands. It is a stunning hotel too and arriving and looking down, over the resort out to the water is so beautiful. Manarai beach house is one we haven’t made it to yet, but it looks fabulous and it comes well reviewed. Set on the beachfront with two pools, its own private beach and both indoor and open-air dining sections. 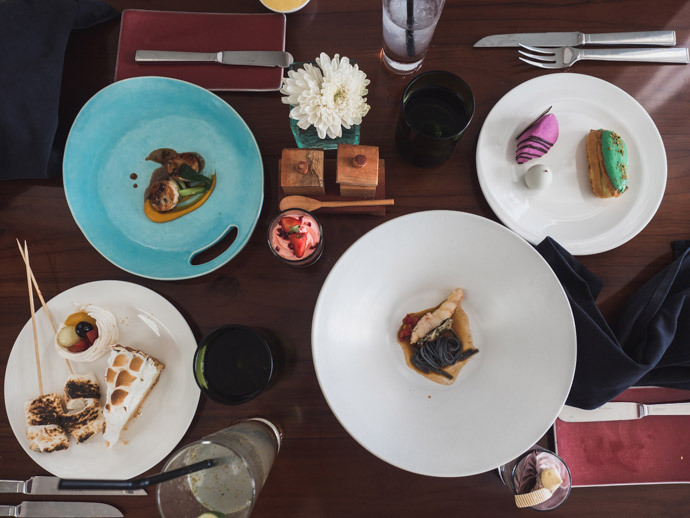 Here you can taste both international and local dishes, so there’s something for everyone. 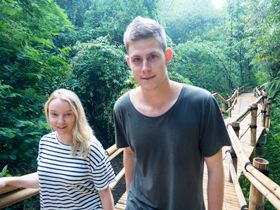 Those were our go-to where to eat in Nusa Dua places we love to go when in the area. 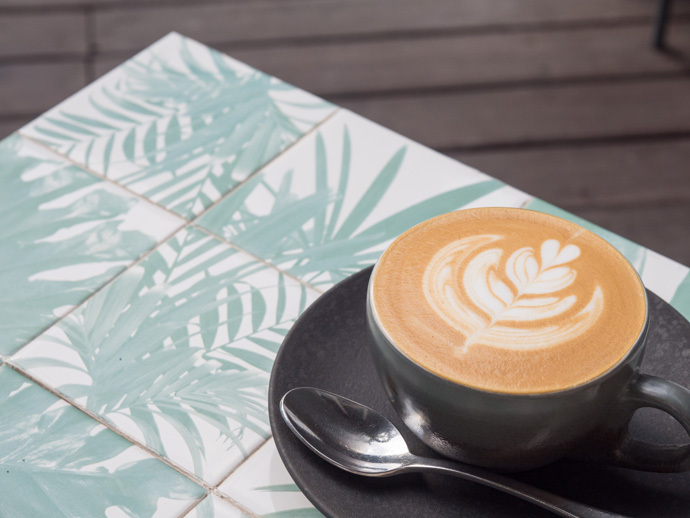 A mixture of quick and simple pizza and cafes, through to fancy brunches and Indonesian flavours at their best. 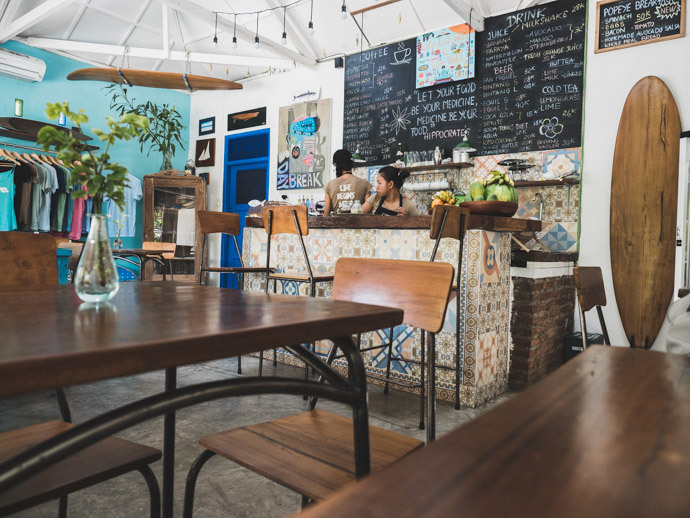 We hope this helps when you are deciding where to eat in Nusa Dua. 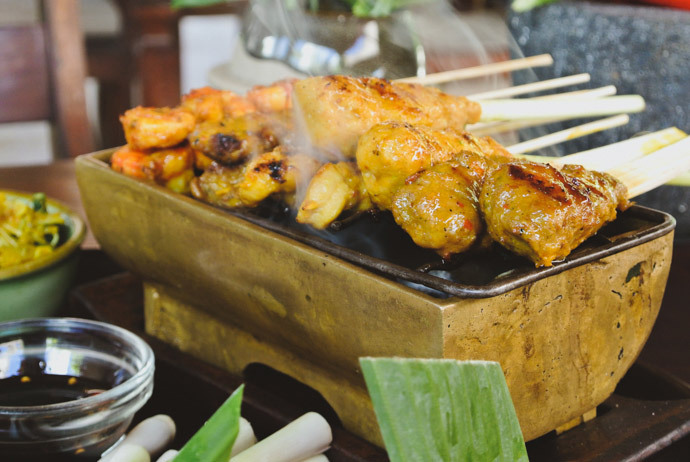 What are your favourite places as to where to eat in Nusa Dua? 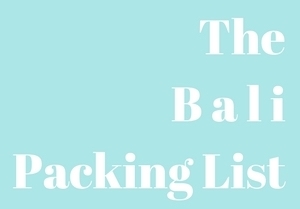 Part of this post was sponsored by Manarai Beach House, but all opinions are our own. Its a beautiful post. Reminds me of my experience in Bali. Pictures of pizza is so tempting! Hi Sudeepta! Thanks! So happy to hear you have Bali on the mind ;) Doesn’t matter where you are pizza is always a good idea!